Kobza Home Builders work with you to create a strategic building approach for your unique property. To make this process even easier, we offer a checklist to our customers – and now we have made the checklist accessible to everyone! 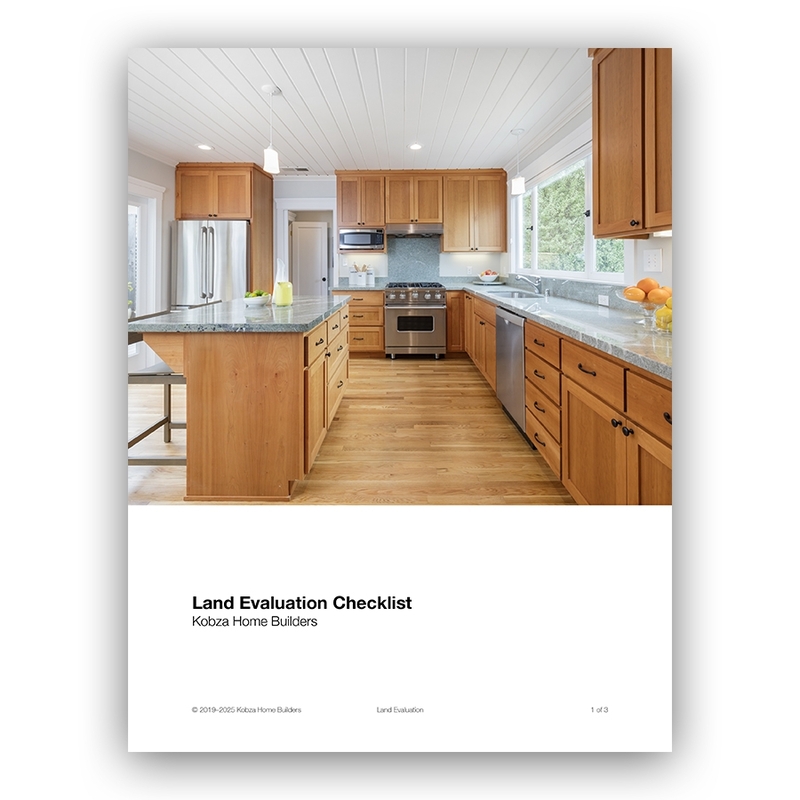 Simply fill out the form to get your free Land Evaluation Worksheet from Kobza Home Builders.